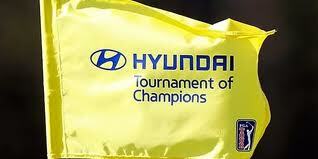 Hyundai Tournament of Champions returning to the Plantation Course in Kapalua through 2014-2015. File photo by The Associated Press. 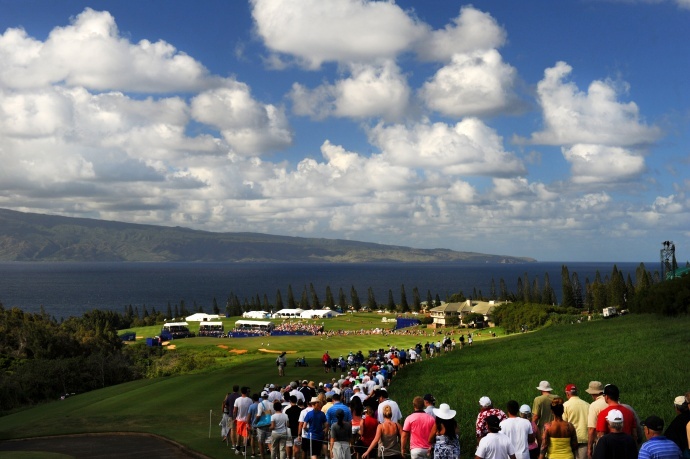 The PGA Tour and Hyundai Motor America agreed to extend its contract of the Tournament of Champions in Hawaii for two more years, through the 2014-2015 season. 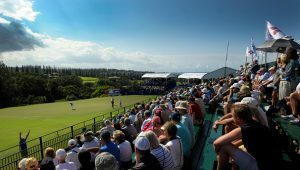 The Hyundai Tournament of Champions will be held January 3-6 at the Plantation Course in Kapalua, marking the PGA Tour’s resumption in January following a six-week break in the upcoming tour season schedule. 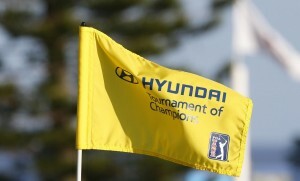 “We are very pleased to have Hyundai continue as title sponsor of the Tournament of Champions, which has played a distinctive role on the PGA TOUR for more than 60 years by inviting only tournament winners from the previous year,” said PGA Tour Commissioner Tim Finchem in a press release Friday, Sept. 6. “The tournament has continued to grow the past three years with ratings up more than 75% in 2013,” said Steve Shannon, vice president of marketing for Hyundai. In addition to Hyundai’s sponsorship, Seoul Broadcasting System (SBS) continues its relationship with the tournament, under terms of a 10-year agreement that began in 2010. Serving as the tournament’s title sponsor that first year, SBS had the opportunity to bring Hyundai in as title sponsor in 2011, at which time the tournament’s original “Tournament of Champions” name was reintroduced to highlight the exclusive nature of its field. Originally introduced as the Tournament of Champions in 1953, the limited-field event maintained the “T of C” identity in its title until 1994.